Huge Price Reduction! Seller wants this condo sold! L’Elegance on south Lido Key, has it all! Enjoy this condo complex that sits right on the Gulf of Mexico. Walk out to the private beach in your own backyard, lounge in the heated spa, or swim the Olympic sized pool while watching boaters go by and birds fly overhead. If you feel like playing some tennis or hitting the fitness room, it 8217;s all there for you. Greet your guests in the beautifully appointed lobby. Full service on site management. Sought after L 8217;Elegance has a guard staffed gated entry, secured under building parking with a storage room and allows two dogs of any size, what more could you ask for! This condo is a corner unit that allows views of the bay and the gulf. Having expansive balcony space to enjoy, you can watch the sunset from your living room or the side balcony. Floor plan is set up as a two bedroom with a den but can easily be converted to a third bedroom. There is also plumbing that is capped off for an additional bathroom. With an abundance of natural light, this unit, freshly painted, shows bright and cheery, it is ready for your personal touches. The condo complex has 400 feet of Gulf front to enjoy. All of this just moments away from St. Armand 8217;s Circle where you can enjoy, fine dining and boutique shops. Downtown Sarasota offers a plethora of dining, shops, opera, theater, museums, farmers market and much more. Photos were taken prior to furniture being removed. 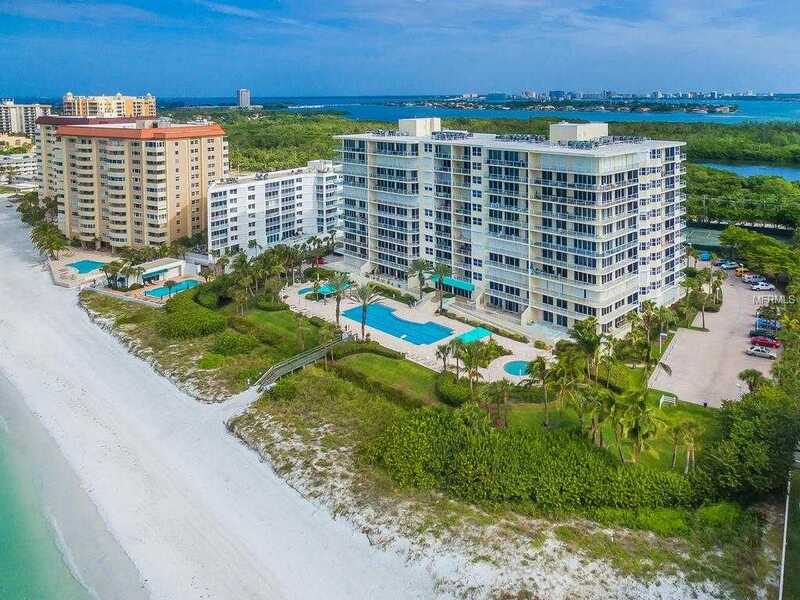 Please, send me more information on this property: MLS# A4420584 – $850,000 – 1800 Benjamin Franklin Dr #b407, Sarasota, FL 34236. I would like to schedule a showing appointment for this property: MLS# A4420584 – $850,000 – 1800 Benjamin Franklin Dr #b407, Sarasota, FL 34236.